Release your inner witch with Gifts of Ostara, a 5 reel, 20 payline slot created by Iron Dog Studio and available on Wizard. 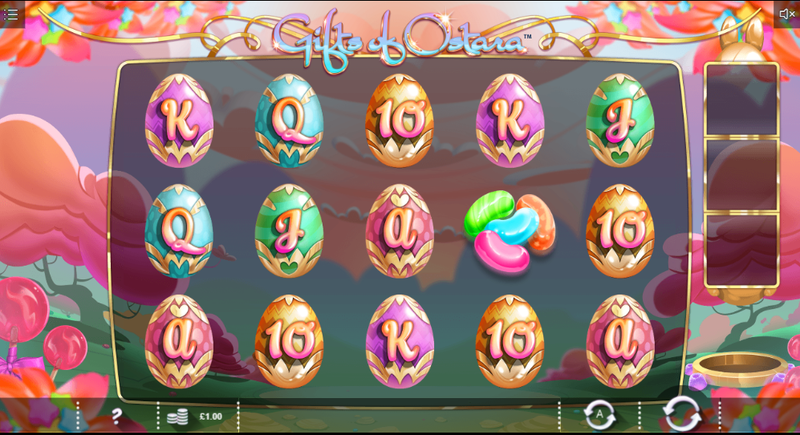 This pretty pastel coloured slot combines Easter with magical powers. It's a beautiful slot that looks like it's been ripped straight out of a fairytale. The enchanting Gifts of Ostara has many magical features including wilds, expanding wilds, sticky wilds, free spins and respins. Ostara the sweet fairy will randomly fly onto the reels and sprinkle some coins your way. Gifts of Ostara is based on the pagan festival that celebrates the spring equinox. It's a witchy/Easter themed slot with 5 reels and 20 paylines developed by Iron Dog Studio. This slot is beautifully crafted with gorgeous pastel colours and small girly details. Here's a guide before you play top 10 slot games with the coolest bonus features! Behind the reels, you will see a pretty make-believe land with luscious pink skies, sunset coloured trees and sweet pink meadows. The symbols are super cute too and include decorated Easter eggs, tasty jelly beans, a swirly meringue with a cherry on top, a lollipop and a cupcake. On the right-hand side of the reel, you'll see a hole in the ground. X Multiplier Feature - The X multiplier feature will grant you a reward of 2, 3, 4, 8 or 10 times your stake. Silver Bunny Feature - The silver bunny feature will unlock one free respin. Golden Bunny Feature - If you get the golden bunny, your total stake could go up by 30x. Wild Feature - Expanding wilds can appear on reels 2, 3 and 4. Sticky Wild Feature - If you unlock the sticky wild feature, you'll be given 3 free spins and one of the middle reels will lock. 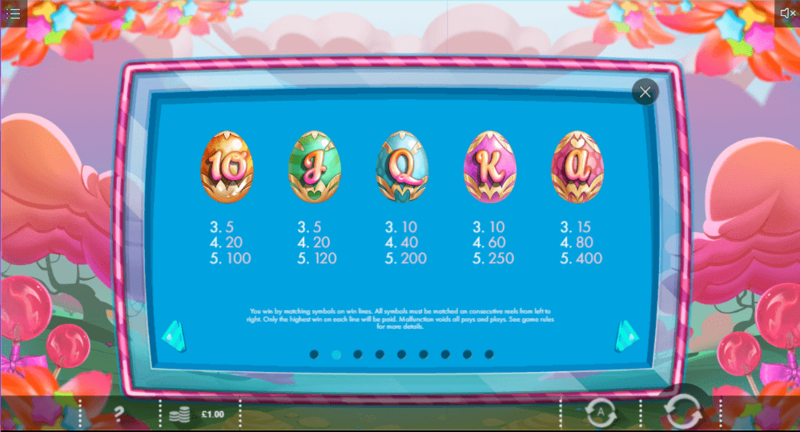 Free Spins Feature - Golden eggs can turn the A into 10 eggs. By filling all 3 spots with the egg of the same value, you'll be granted 10 free spins. Each winner will be awarded a multiplier depending on the size of the egg that activated the free spins feature. The highest is A which gives you a 5x multiplier. If you're a girly girl, love all things witchy or want to play a festive Easter slot then you need to play Gifts of Ostara. It's incredibly cute with the adorable detailed 3D graphics and pretty pastel colours. The free spins feature is exciting as there are lots of multiplier prizes up for grabs. so if you enjoyed this slot game why not try Wolf Hunters.